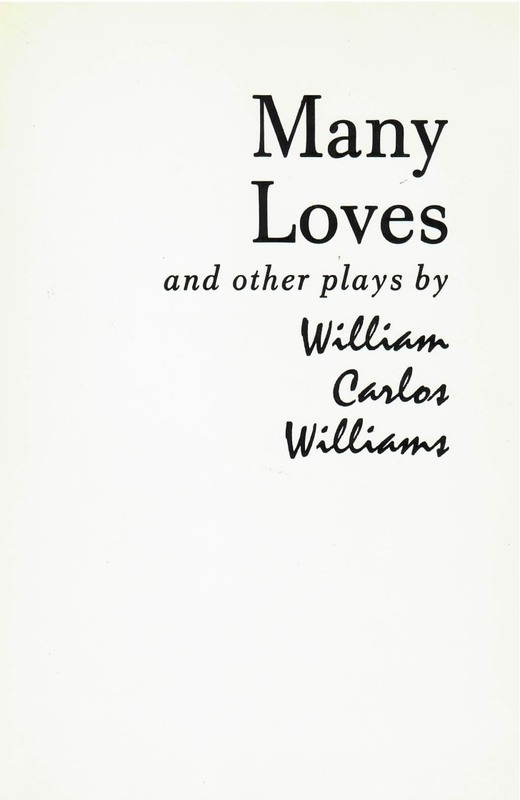 For this volume, originally published in cloth in 1961, William Carlos Williams collected, and revised, four full-length plays and the libretto of an opera on George Washington. As might be expected of the man who did most in our time to create a new and truly “American” idiom for poetry, Dr. Williams’ writing for the stage challenges producers and actors to extend the range of modern drama. Many Loves, which ran for nearly a year (1959) in repertory at New York’s famous Living Theatre, explores four varieties of human attachment, while A Dream of Love, first produced in 1949, is a penetrating and poetic treatment of infidelity and marriage. Tituba’s Children, written three years before Arthur Miller’s Crucible, is a dramatic study of witch-hunting – the Salem trials of 1692 and McCarthyism in the 1950’s. The First President was first published in 1936. It is preceded by a long introduction on the theory of opera, the role of music, and the problems of realizing a historic figure on the stage. The Cure (1960) reminds us that Dr. Williams was for forty-two years a practicing physician. Its theme, developed in a very unusual situation, is the relationship between nurse and patient.